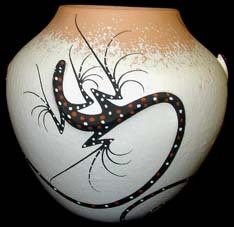 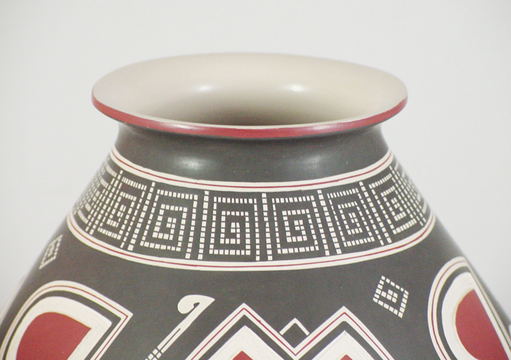 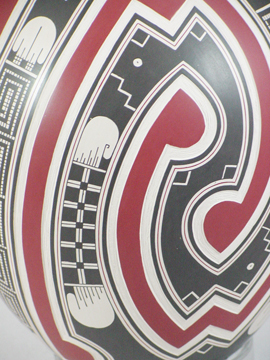 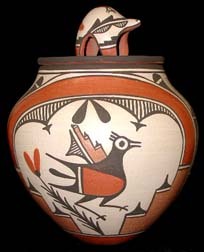 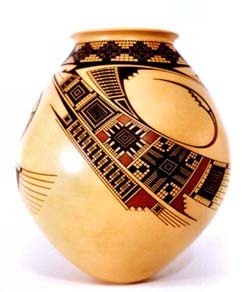 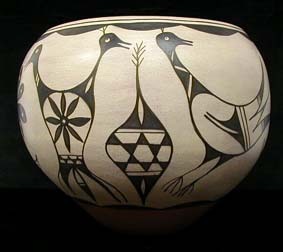 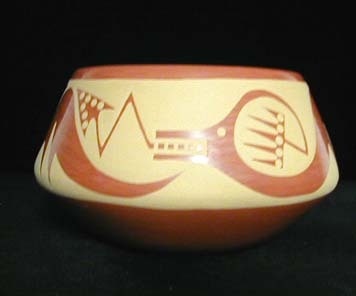 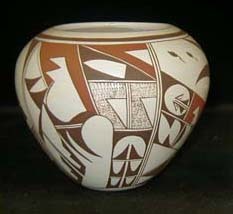 This olla is by Roberto Olivas a premier potter from Mata Ortiz. 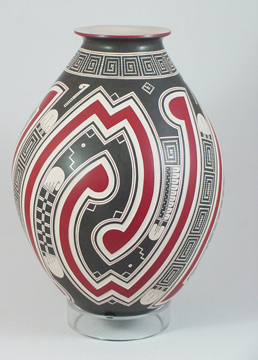 Roberto specializes in contemporary designs based on the Quezada band motif. 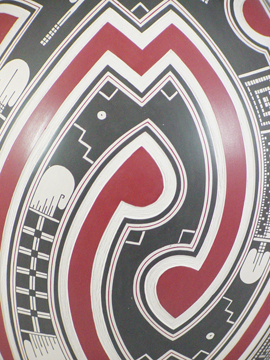 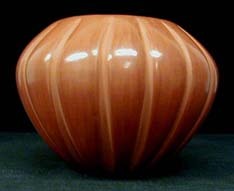 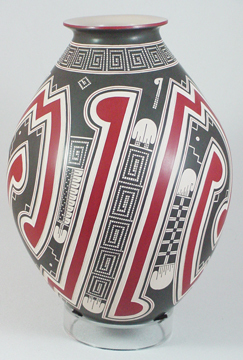 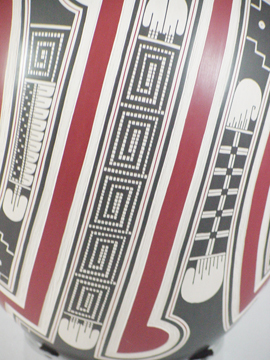 The stunning olla shown here measures 12 inches tall by 9 inches in diameter.